Strategy: Forex Kore EA strategy is not known . We are going to change this when we find out. Here is an account but it's not from the vendor of Forex Kore EA, but at least it's something. Remember FXblue.com is not a legitimate 3rd party verification site, so there is no guarantee these results are valid. No customer accounts of Forex Kore EA found. While Forex Kore EA is fairly priced, there are much better products out there to gamble your money on. We can't recommend this at this time. Whether it's a scam or not is still to be determined. 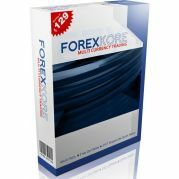 If you have experience with Forex Kore EA then feel free to leave a rating and post a review with your findings. Fx Proud EA Review – is it for real?